Request a live and interactive demonstration. 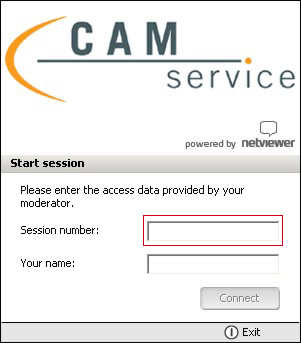 Download the online meeting software Netviewer (1MB, .exe-file) on your computer. Execute the downloaded file on your computer. There is no need to install the software on your computer. Enter the session code our support team member told you in the field and press enter.